One of the things that drew me to Buddhist meditation was my perception that Buddhism was approachable and pragmatic. I wasn’t raised religious at all, and had some hesitation toward my image of what religion was. This wasn’t because of any bad personal experience with any religion, but I liked that the Buddhist meetings I went to offered me practices that could help me without me having to believe anything I couldn’t see myself. 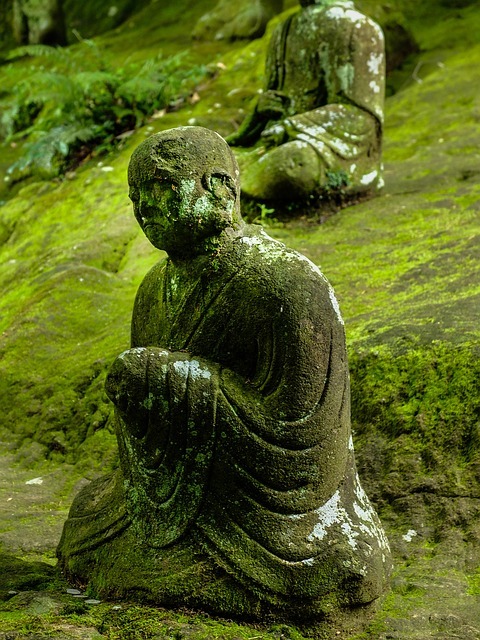 You can learn more about Buddhism in general in our post What is Buddhism? A Brief Introduction. We’ve seen discussion about these topics quite a few times in our groups and on our social media sites. We’re asked questions about this regularly and consistently. The questions we receive are most often “Is Buddhism a religion?” and “Is Buddhism atheistic?” Although there isn’t a single clear answer necessarily, we want to offer you our thoughts on these questions and a few more. We also end by encouraging you to ask yourself why this matters. First, I want to really make it clear that these are my opinions and I am speaking of my experience largely in this post. I do make an effort to provide some citations and references where possible. To offer some transparency, I consider myself apatheistic. That is, the existence of a god or not doesn’t really matter to me. I’ll talk about this view more later, but I wanted to name it. I lean toward curiosity and acceptance of our experience and what’s useful to each individual, and don’t see blanket statements as 100% helpful or hurtful. All that being said, I am aware of the harm caused by theists and atheists alike. I am aware of the wars, harm caused in disagreement, and close-mindedness that may follow. I am not exempt from this. I have created suffering for myself and others with my views on this subject, and it is not my intention to do so here. I will do my best to share my experience and views without causing any offense to anyone of any beliefs, and ask your forgiveness if something causes you harm. So, let’s dive into it. Is Buddhism a religion? It depends who you ask and what definition of religion you are using. I’ll start by saying that in my opinion, yes, Buddhism is absolutely a religion. My experience is mainly with the Theravada tradition of Buddhism, but there are many different Buddhist traditions. Let us dig a little more deeply and investigate it ourselves. Of course there are various definitions of religion, but we’ll look at a super basic understanding. These are three characteristics of religions, and of course are not an exhaustive list. First, a religion provides a set of beliefs where we aim toward a higher goal. This may be something like getting into heaven in Christianity or bring people to a complete and close relationship with god in Judaism. Buddhism has this. We have sila, or ethics, by which we live. We have practices and training rules. We have the goal of nibbana (Sanskrit: nirvana). 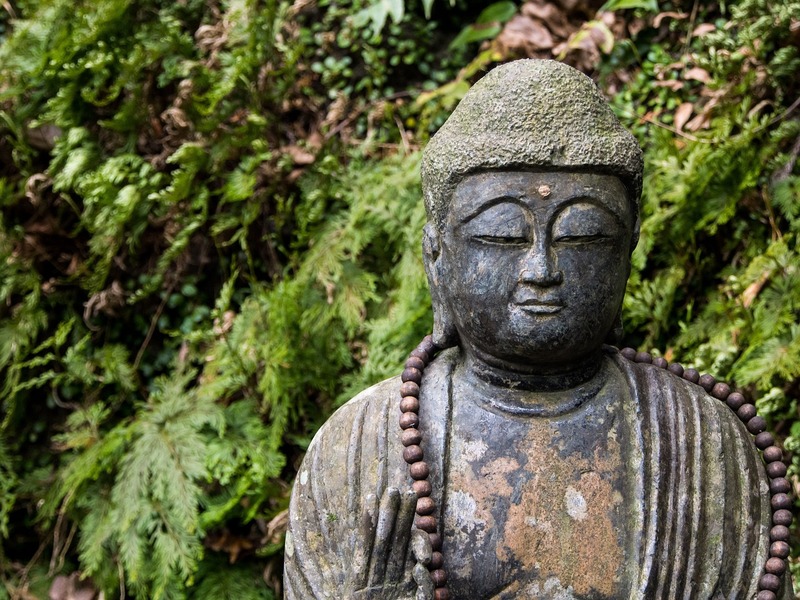 Buddhism provides a set of practices and rituals to get us toward our goal of awakening. This is a common characteristic of religions. Like other religious traditions, we set out to follow the teachings in order to reach a certain goal. In some traditions, especially Mahayana schools, these practices actually include chanting and making offerings to supernatural beings. In Theravada Buddhism, chanting is common, but isn’t as focused on invoking the power and protection of devas, or supernatural beings. Second, religions are often theistic. This is a point of much contention with this issue. Does a religion necessarily need to have a creator? Some argue that you can have a nontheistic religion while others argue that god is a necessary part of religion. There really is no clear definition here of religion, but I personally believe that a religion can be nontheistic. That is, a religion can function without a creator. Buddhism is a great example of this. Unlike many religions with which you may be familiar, there’s no emphasis on worshipping a creator. In other religions, believers may pray to and turn toward a god. In Buddhism, we do the same thing but call it “taking refuge.” Yes, it’s different in that we’re not turning toward a supernatural power. However, Buddhists turn toward the three jewels in a very similar fashion to how Christians turn toward Christ. The main difference here is that we’re turning toward more concrete phenomena that we can see and experience directly without belief in a supernatural being. We’ll talk more about gods in Buddhism in a bit. There have been six Buddhist councils, which I highly encourage you to check out and learn about. These were organized gatherings to discuss the future of Buddhism, leading to some major changes and schisms. There are also organized groups like the Shambhala tradition of Tibetan Buddhism and the Forest Sangha of Theravada Buddhism. Even less traditional American Buddhist groups like Spirit Rock Meditation Center and Against the Stream have an organized leadership and format. Let’s look briefly at the main arguments for Buddhism being a tradition or way of life. First, there’s no creator or god. Well, that is partially true. Buddhist tradition is steeped with devas and gods, but not a creator. If a creator is necessary for it to be a religion, then Buddhism is indeed not a religion. The other big argument against Buddhism as a religion is that it doesn’t require you to believe anything. The Buddha encouraged his followers to investigate the dharma for themselves, perhaps most notably in the Kalama Sutta. I don’t really have an argument against this point, as I find it to be correct. Practicing the dharma doesn’t mean you have to believe anything. You can investigate for yourself. However, I also know of people who follow other religions but don’t follow every single teaching! No. I don’t want to waste too much time here, as the answer really is that simple. According to Buddhist tradition, the Buddha was a person. 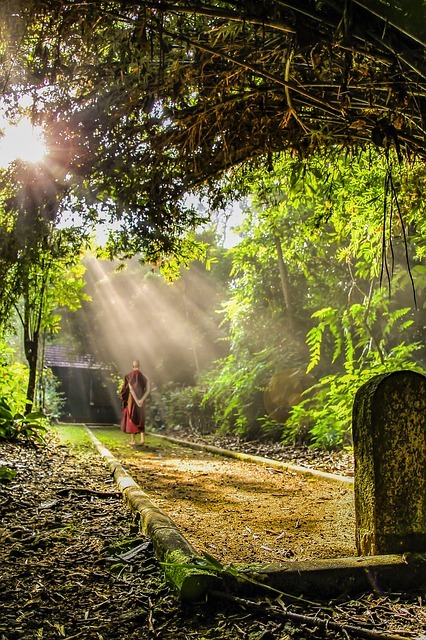 He investigated many different spiritual paths and worked with many different teachers, awakening through his own understanding of the mind, experience, and the nature of dukkha, or suffering. The Buddha was an awakened being and a teacher, not a supernatural being. In some Buddhist traditions, people offer chants to the Buddha. The Buddha is also one of the three jewels, one of the things in which we take refuge. However, these practices are about turning toward the Buddha-seed we have within us, not about asking for help from a supernatural Buddha in the sky. The “Buddha” rests within us. We have the seeds of mindfulness, wisdom, and compassion resting in our own being. With practice of the dharma, we are cultivating these seeds. That is what we are doing by turning toward the Buddha. Let’s start this section by remembering the point that you don’t need to believe anything to practice the dharma. Let’s start with the general topic of death, as this is a focal point of many religions. In Buddhism, death is traditionally seen as a transition. The Buddha encouraged us to investigate our relationship with death and impermanence of the body, offering it as a practice in the first establishment of mindfulness. Reincarnation is different in Buddhism than what most people seem to think it is. In Buddhism, you don’t travel from one being to another. There is no eternal “soul” or anything like that. The idea of reincarnation, put most simply, is that your actions and behavior will have lasting effects on your lives to come. This is a difficult point for many Western Buddhists, but it comes from the Buddha’s time and culture. Personally, I don’t believe in reincarnation quite so concretely. Rather, I take it as a more pragmatic teaching. I believe when I die, I will be dead. That will be the end of me. However, my behavior throughout my life will live on. The joy or pain I have brought to people will live on past my life. Think of somebody who caused a lot of harm or a lot of joy such as Hitler or Maya Angelou. Both cease to live, yet their lives continue to impact us. Anyway, that’s just my personal experience of reincarnation and not meant to be a representation of any greater Buddhist belief than my own. As for heaven, the short answer is that Buddhists do indeed believe in heaven. However, heaven isn’t a realm in which live for eternity like you may be familiar with. Rather, the heavenly realms are part of samsara, the cycle of death and rebirth. If we act wholesomely in this lifetime, the Buddhist teaching is that we may be reborn into a heavenly realm. The ultimate goal of nibbana (awakening) is to transcend this cycle of death and rebirth. Again, I take this to be a teaching we can see in our own lives. We all cycle through different “realms” here in this lifetime. We may have experienced heavenly realms, where everything is comfortable for a moment and we don’t really have a desire to practice. We’ve also experienced the hell realms, such as the realm of hungry ghosts, where we crave more and more and more. A great example of this realm in my life was when I was living in my drug addiction. It may not come as a surprise to you that this question doesn’t have a clear answer. I can state my opinion on the matter, and offer the answer I give when asked in a group. However, this is definitely something worth investigating for yourself. My answer is that Buddhism is not inherently atheistic; it is apatheistic. I like to joke that it’s actually equani-theistic, as it’s more about equanimity than apathy. Anyway, I see Buddhism as not really being concerned with a creator deity. In multiple suttas, the Buddha and his monks answer questions about existence and deathless beings. The answers are often what I would call non-answers. That is, the Buddha refuses to confirm the view that there are gods and refuses to confirm the view that there are no gods. The question really is, how does it matter to your practice? We end with some more thoughts on this question, but the Buddha’s responses to these questions really point out that we may not benefit from holding a view on the existence of a god. I use the word faith sometimes in my talks, and can see non-religous individuals pull away. However, it’s an important part of the Buddhist path. It’s one of the five spiritual faculties and it’s opposite, doubt, is one of the five hindrances. Perhaps a better word to use may be trust or confidence. This isn’t to say that we should have blind faith in the path or teachings. As mentioned before, the Buddha encouraged us to investigate for ourselves. However, we can use our experience to build faith or confidence in the path. As we begin to see things more clearly or respond with more compassion, we can recognize it in order to build trust in these teachings. In Buddhism, we build faith by tuning into the fruits of our practice and reminding ourselves. Can I be Buddhist and Religious? This is a topic we should perhaps cover in its own post because we can’t do it justice here. However, I will try to just make a few points from both sides of this discussion. First, let’s talk about practicing dharma and following another religion. The Buddha’s teachings can absolutely help us regardless of other religious beliefs. Perhaps you practice mindfulness meditation and it helps you to connect with the god of your religion more deeply. Maybe your religion encourages compassion, and the Buddhist compassion practices help you cultivate this quality. We can take these pieces that are useful to us and allow them to carry us toward some awakening. On the other hand, I do think there are many things that directly conflict. For example, ideas on death will often differ between Buddhism and many other religions. Some people believe that following the dharma is worshipping a false idol. I do think if you are to dive deeply into Buddhism, it may challenge some of your beliefs from other religions. To me, this means it takes some curiosity on your part to see what you believe and what you experience. My most honest conclusion to this question is that you need to investigate for yourself what is useful. What practices lead to some freedom or awakening? How do you lessen your suffering? What is leading you to respond with compassion and care to yourself and those around you? I want to end with perhaps the most important part of this post. I mentioned it several times above, but it’s the question of why this all matters to us. If there is a god, how does your practice change? If there is not a god, how does it change? 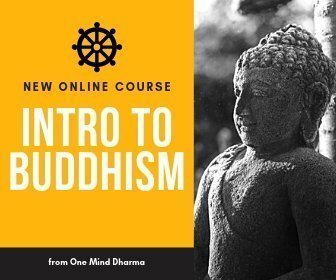 If Buddhism is a religion, would you practice differently? What if it wasn’t? Maybe you do think you know, and maybe they do matter to you! That doesn’t make you wrong, and it doesn’t make me wrong. We must investigate for ourselves what is useful and what leads to less suffering. I can suggest things I have seen relieve suffering like mindfulness meditation or practicing ethics. But I can’t tell you what to believe. You have to see for yourself what brings ease to your life and your experience. 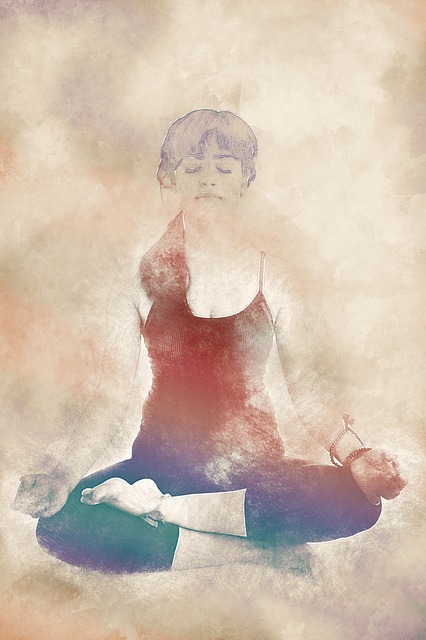 Sign up for a week of meditations for free! Enter your email address to subscribe to receive new blog posts via email!